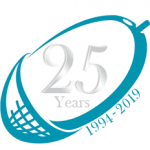 It is our 25th birthday and we are looking back to 1994 when The Development Company Limited first set up, to see what has changed in the world of training over the last 25 years. 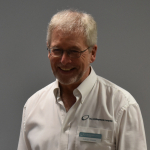 In this blog I shall compare training delivery in 1994 and 2019. In 1994, courses tended to be anything between 2 and 5 days in duration whereas in 2019 a maximum course length is usually 2 days. Life didn’t seem to be so fast paced in those days. People didn’t appear to have the same volumes of work to complete and so they were able to spend more time on training courses. This was not especially a good thing as, how much learning would they have been able to retain following the course? Course content was inputs driven and very theory based in 1994. The emphasis was on getting course attendees to understand the various theories and then plan what they could do with them. We now call that type of training “content driven” training. In 2019 all our training is now “learner driven”. We work with a need or a challenge or a gap that each learner brings with them to the course and then enable exploration, understanding and an opportunity to reflect and plan. So this means that our training styles have changed over the 25 years. In 1994 we would learn a theory and be able to explain it in detail and guide people in how to apply it to their world. Now in 2019 our guidance is more holistic and very hands off. We do not offer answers, solutions or the right way to do things (except when training certain specific skills). 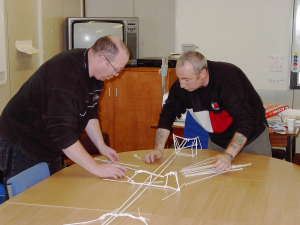 Most of our training is about facilitating groups and individuals to make decisions and plan to achieve their desired outcomes. We introduce models and theories if we feel they will add specific value. 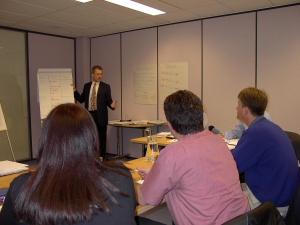 25 years ago, with the exception of The Buxton Experience which we ran for a number of clients, all courses were formatted as “Chalk and Talk” sessions, with the trainer at the front of the room directing the learning. With the move away from content driven training we are using many more facilitation formats in the training room, such as the Action Learning Set, Conference Café and the Un-Conference. In 1994 people would often measure the quality of a course by the number of handouts they were given. Many courses would be accompanied by a big binder full of theory based handouts. In 2019 we are providing less handouts and even using workbooks instead of handouts for some in-company clients. Attendees are directed to the internet if they want to explore subjects in more detail. Back in 1994 training was often provided using the sheep-dip approach: the same course would be rolled out for everyone. Alternatively, training would be identified as part of the annual appraisal process and then a generic course run within the organisation. In 2019 training is more specific to each individual. This is known as adaptive learning. 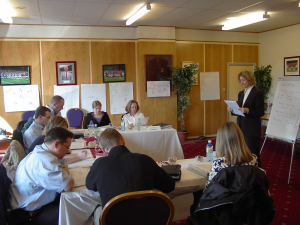 There has been a significant shift away from running courses in hotels and conference centres. The change was accelerated by the World recession. It is more usual now for training to be carried out on-site. This clearly has significant cost advantages and most organisations tend to have a suitable room. Training in 2019 is more focused and more learner driven. Money is being spent more wisely which can only be a good thing. 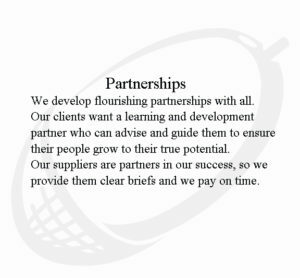 Learners are more likely to have been briefed prior to attending the training and to bring with them a specific purpose for attending. Responsibility for learning now rests firmly with the learner, which is where it should be. To all other “silver” trainers out there. I would love to hear your experiences over the last 25 years. Guest bloggers are always welcome. Adrian Green set up The Development Company in 1994 to help people become more confident in their work.